A key Senate committee in Wisconsin has given approval to legislation that would legalize industrial hemp. The Senate Agriculture Committee voted to approve the measure yesterday, sending it towards a vote in the full Senate. The proposal was passed unanimously, indicating widespread, bipartisan support. Under the proposed law, a system of state licenses would be established that could be obtained by farmers in order to legally grow and cultivate hemp. The legislation labels hemp as having no more than 1% THC – if hemp crops have over that, it would be illegal. In addition, people with prior drug convictions wouldn’t be eligible for the licenses. Roughly 30 states have legalized hemp despite it remaining illegal federally, including Kentucky, Illinois and California. 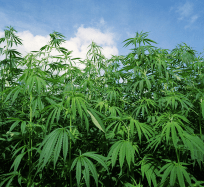 The post Bill to Legalize Hemp Approved by Wisconsin Senate Committee appeared first on TheJointBlog.